I'm absolutely thrilled to have won the Best Wedding Photographer in England award for the second year running. The competition this year was even higher. The event, again, was amazing. A huge thanks to the entire Wedding Industry Awards team for their superb efforts. A hearfelt thanks to all of the couples who voted - you're the reason I do what I do. To be both invited to spend such an incredibly important day with loved ones - and made to feel like part of the family - and to be trusted to use my vision to tell the story of your wedding day is something I am eternally grateful for. Junebug's prestigious and exclusive Worlds Best Wedding Photographers directory speaks for itself. It's an international showcase for couples to find the most creative, talented and dedicated names in the industry. Being invited to join is an incredible honour, one I accepted in a heartbeat (as you can imagine!). I am absolutely thrilled to be a part of it, and will continue to push myself in order to expand my skills and the service I offer to couples who week after week, dedicate their entire beings to one another. An absolute privilege indeed. I am in exceptional company. 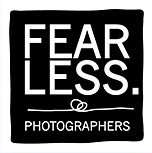 The Fearless Photography award collections are one of (if not) the best in the world for photographic creativity and ability. The awards are reserved only for the best photographs from the best photographers. Technical skill, creativity, composition, story - all factors are considered. Every shot you see will shout something to you. To have been awarded so many times is a fantastic achievement - the highest in the UK. I don't plan to stop there, either. At each and every wedding I'm out to take the best photo I've ever taken. The challenge of creative photography is something I thrive on, and am resolutely passionate about. I am incredibly humbled by the support that surrounds this award. It has been an incredible experience. Not just from my friends and family, but also from peers within the industry. The even deeper value of this award is the basis from which it was initially judged; in-depth reviews from all the couples with whom I worked with throughout last year. Each reviewed and scored seven key aspects of the service, and the average score awarded - across the entire board, and out of a maximum of 10 - was 9.86. That's what sets this award apart from the sea of others, it's not based on who can collect the most votes. It's based upon genuine couples and weddings. I describe in the Philosophy section how I give my heart and soul to every couple. Literally, everything I have. To have that reflected back in the form of this award is an achievement of the highest calibre. Along with the in depth reviews, National Finalists were judged by a panel of industry-wide experts. To say I'm delighted with the win would be an understatement! It was this first award that automatically entered me into the National Finals, which were held at the wonderful Bloomsbury Ballrooms in London, early January 2013.